Serve Lemona Mamon Cake which is soft and tender as the breakfast menu of your customers. The scent of orange and the savoury cheese can be an energiser. Whisk the egg white for a moment and add the sugar and cream of tartar gradually. Whisk them all until they are stiff but not over mixed. 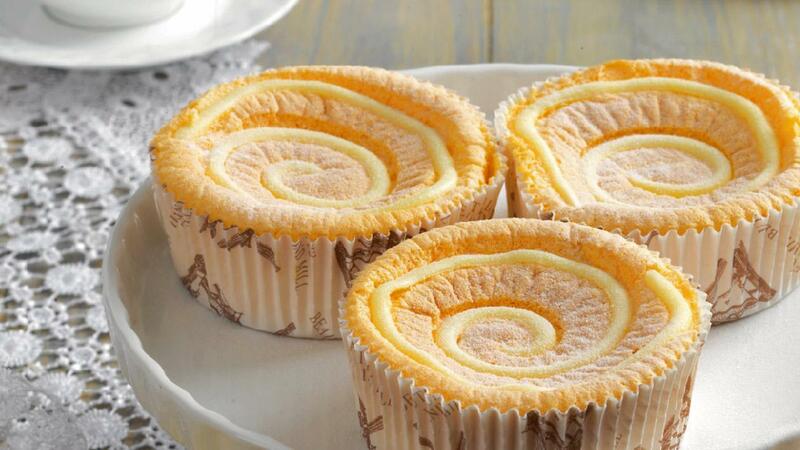 Melt margarine, whipping cream, butter flavour & lemon paste until the margarine is getting melted and add egg yolk, egg, and low protein flour, maizena, baking powder. Mix them well. Put the dough in a baking pan and give the topping (mixture of cream cheese, icing sugar, maizena, and lemon juice). Then, bake it at 180⁰ C for 20 minutes.